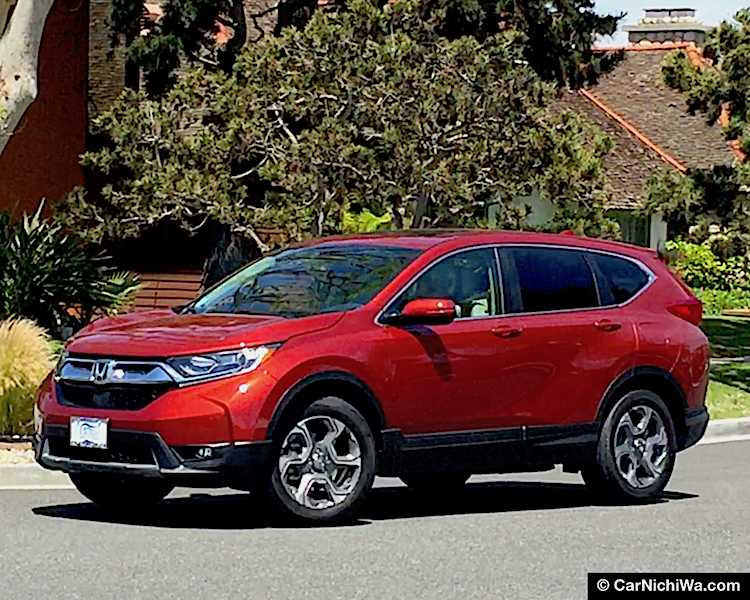 Our coverage of the 2014 Los Angeles Auto Show has focused on automakers that staged press conferences introducing world premieres or North American debuts of new models and concept vehicles. 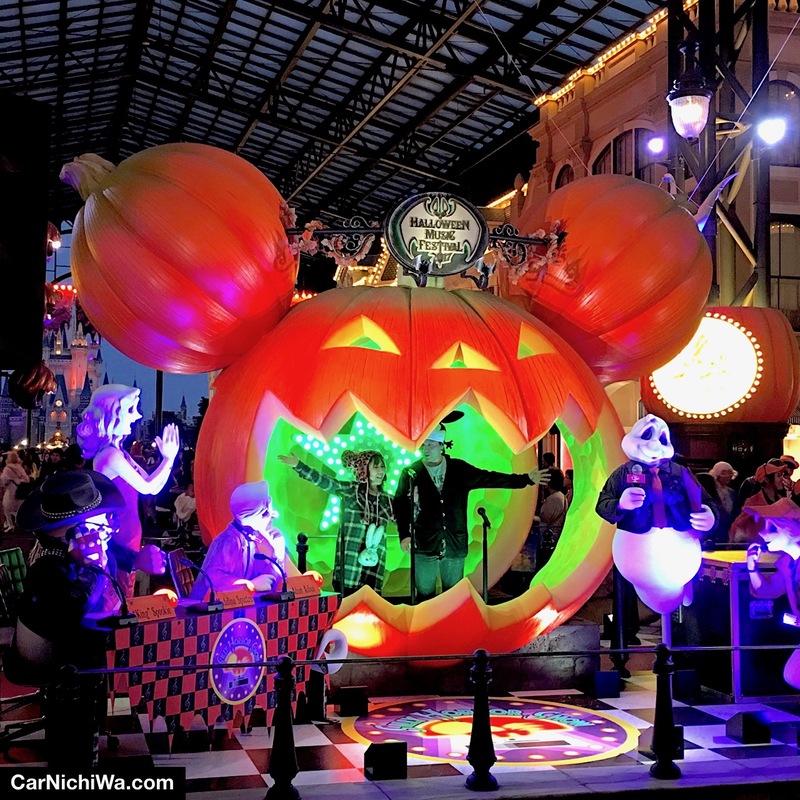 We conclude our coverage of the press days in this report. Yet there were many other interesting story angles across the show floor. 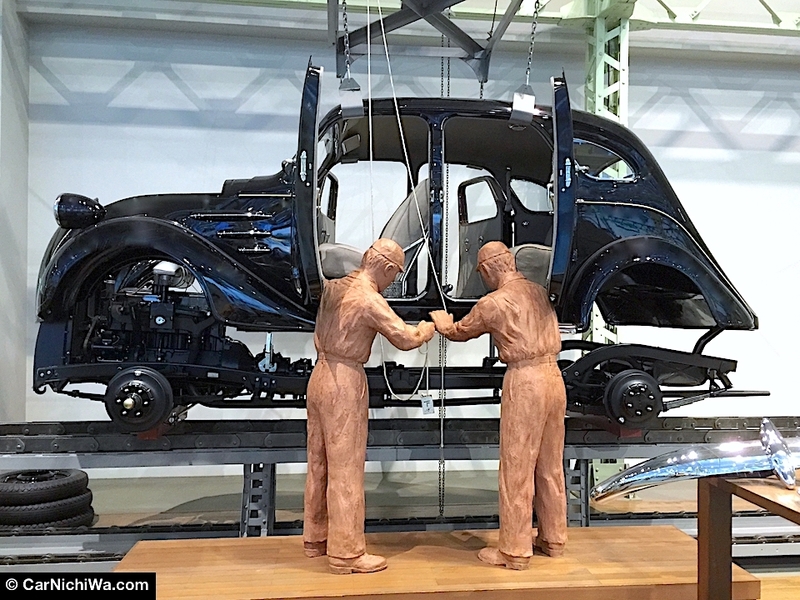 Let’s take a look at Toyota’s display. 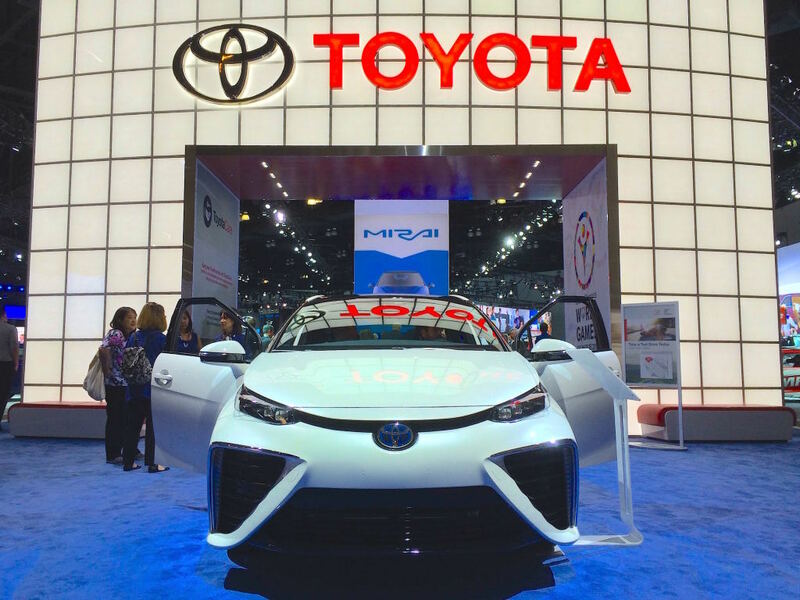 Toyota’s new Mirai fuel cell vehicle made its U.S. auto show debut in Los Angeles. 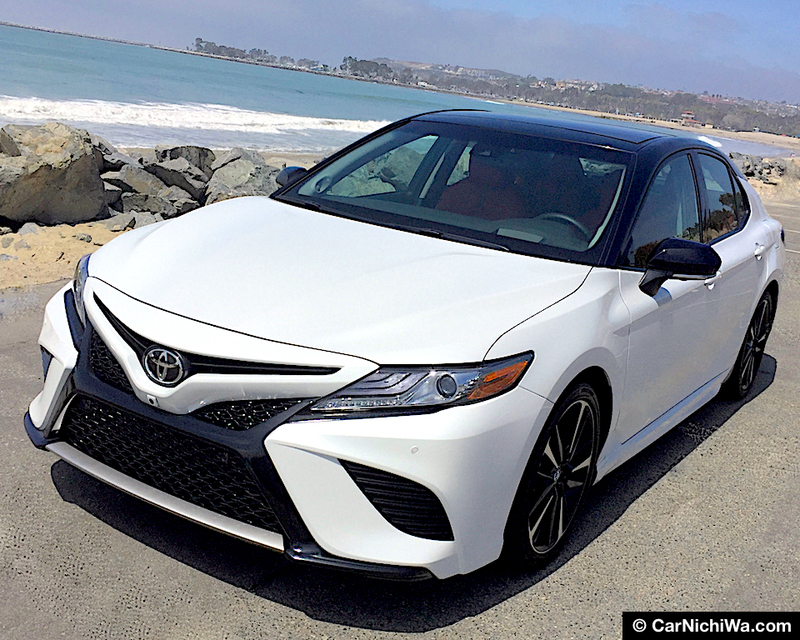 Although Toyota did not have a press conference in L.A. this year, it revealed an important new model at separate press previews in Newport Beach, Calif. and Odaiba Japan a few days before the show. 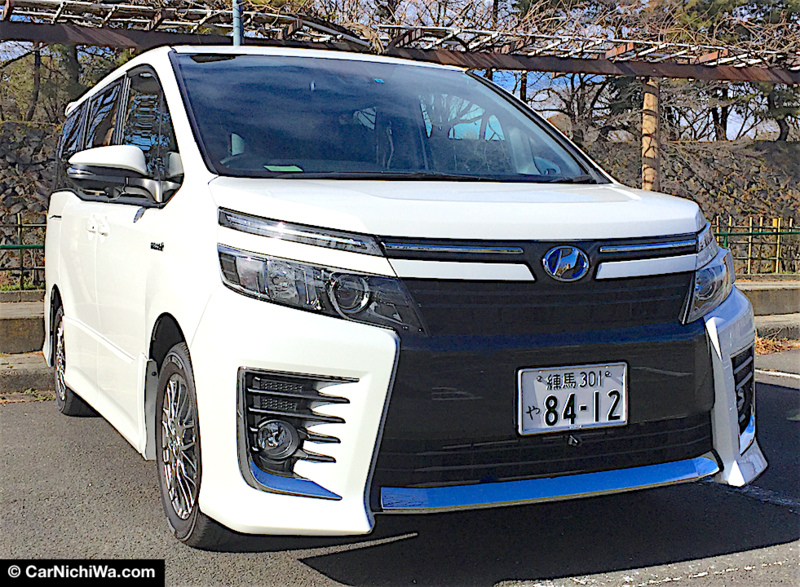 Toyota announced the model name and additional details for its production fuel cell vehicle previously called FCV. The car will be called Mirai and go on sale in Japan in December 2014 with America following in fall 2015. Here’s the view from the driver’s seat of the new Toyota Mirai. Two prototypes wearing Mirai identification inside and out were on display and available for journalists to crawl around at Toyota’s exhibit. 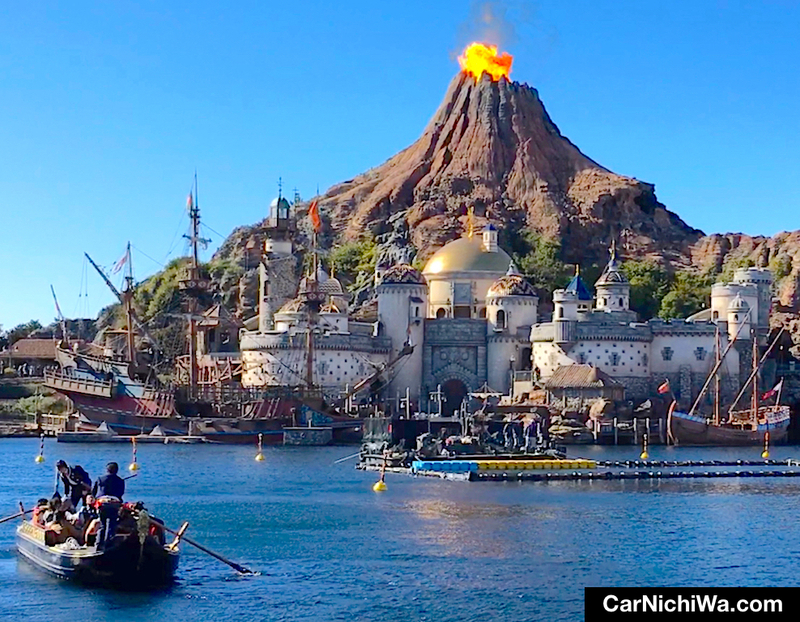 We waited in a short line for a chance to get behind the wheel and then filed our quick report in the above video. 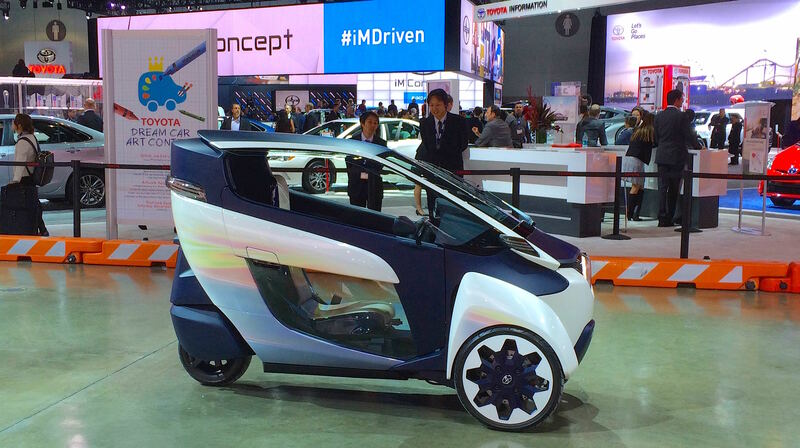 Toyota’s clever i-Road leans into turns like a motorcycle. Also on display was Toyota’s i-Road “personal mobility” electric vehicle that we saw in Japan at the last Tokyo Motor Show. The i-Road has been undergoing test trials with consumers in Japan and Grenoble, France as part of the Ha:mo optimized urban transport system. 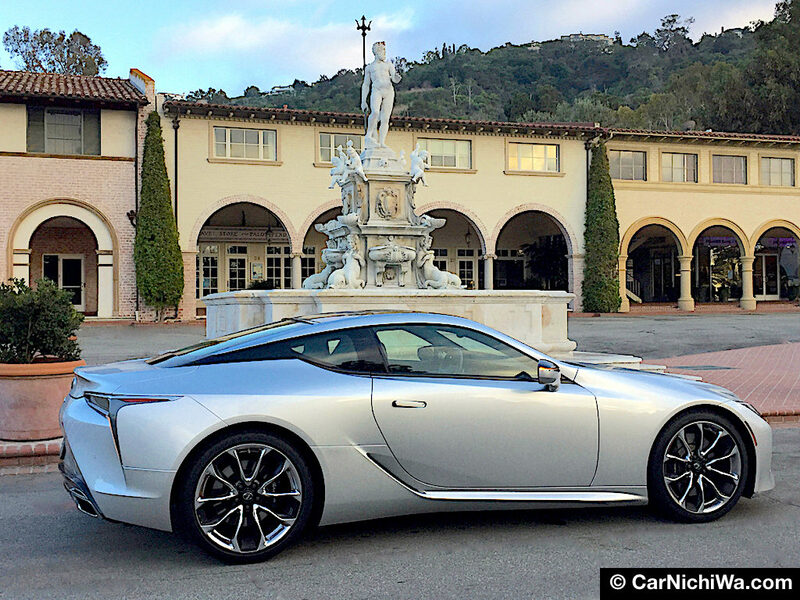 We’re glad to report that Toyota’s performance car heritage was on display at L.A. Two vehicles that made us swoon included the striking FT-1 concept that was shown previously in New York earlier this year. 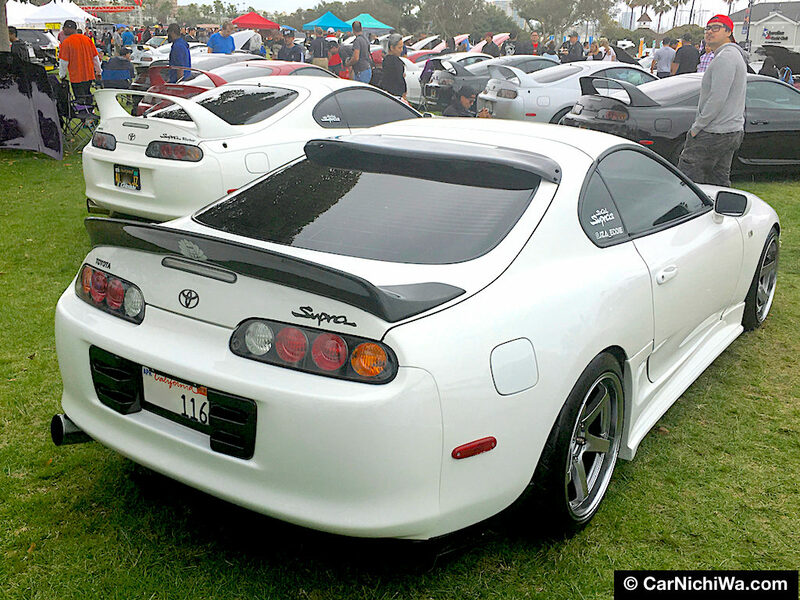 We’re still hoping that this concept will come to life as a next-generation Supra. Revealed earlier this year in New York, Toyota’s FT-1 concept hints at the direction for a future Toyota sports car. 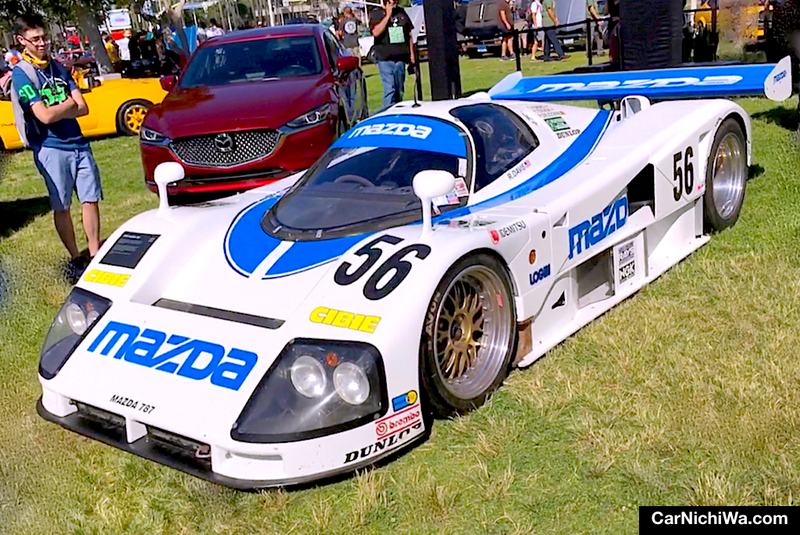 Cheers to Toyota for bringing some of its museum cars to the L.A. show. 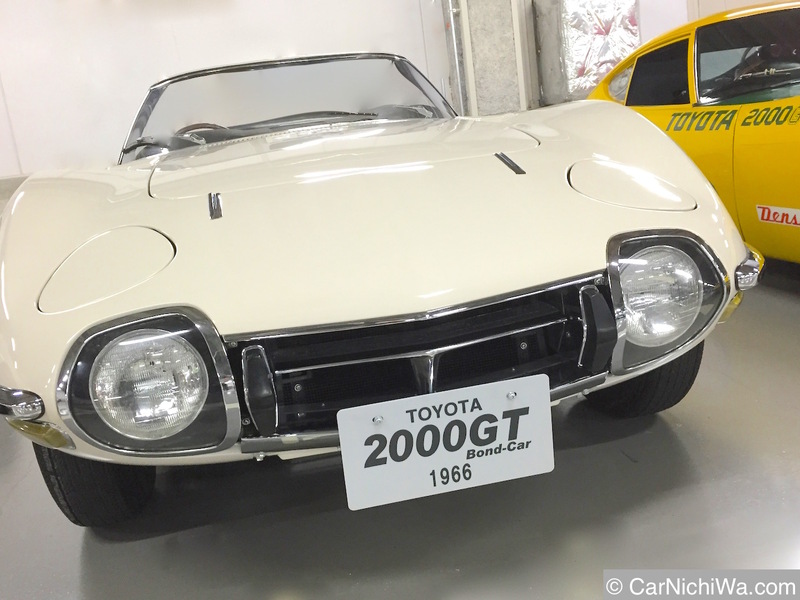 We’ve seen several examples of the rare Toyota 2000GT in California, and in Japan at Mega Web in Tokyo and the Toyota Automobile Museum in Nagoya. 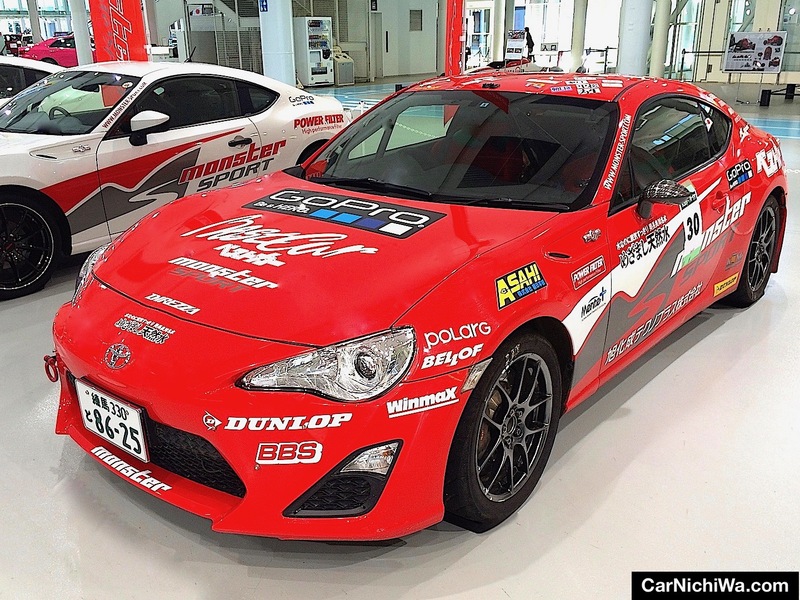 We hope Toyota will uphold the legend of this amazing car and build a flagship sports car wearing the Toyota logo in the U.S. 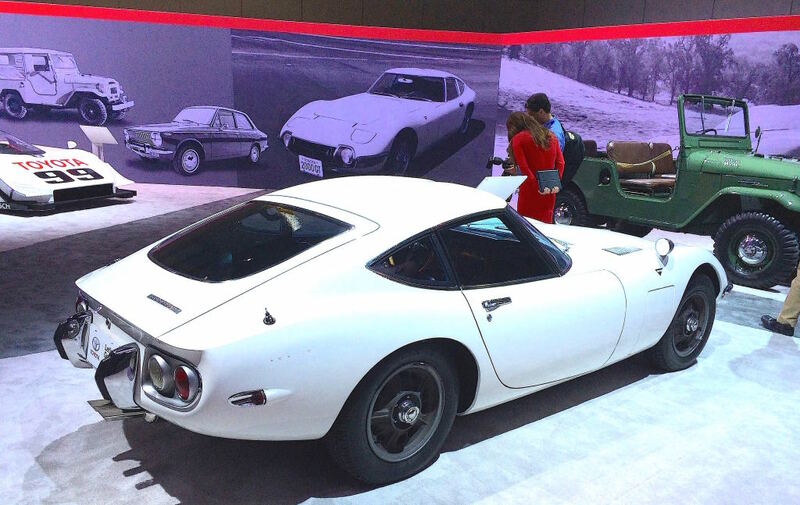 This beautiful Toyota 2000GT made the journey from Toyota’s local museum in Torrance. Now, let’s wrap up our L.A. Auto Show press conference coverage with Scion, Volkswagen and Volvo. 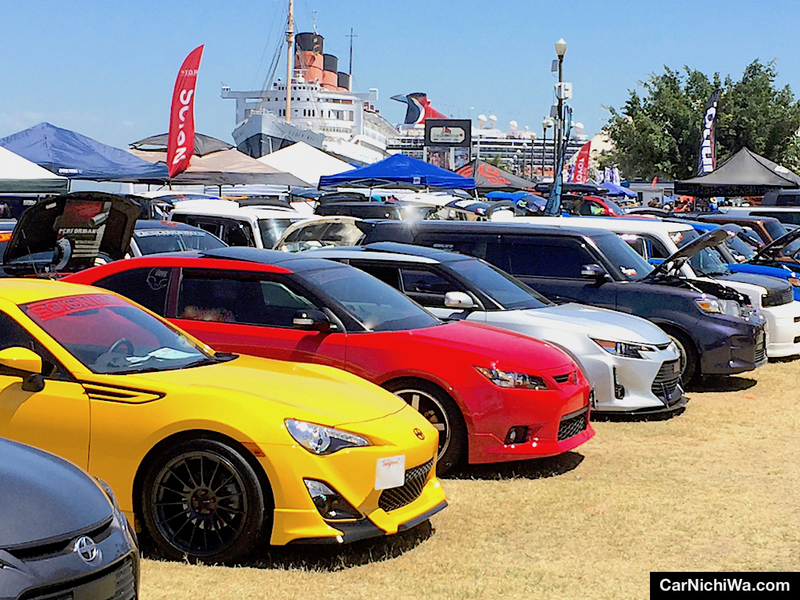 It’s been a while since Scion introduced its last new vehicle, the successful FR-S rear-drive coupe co-developed with Subaru. So we were glad to see Scion unveil a new concept car in L.A. called “iM.” We’re not sure whether a production version of this model will carry the same name; if it’s designed to replace the aging xD, or even where this car will be built (Europe, Japan or perhaps the U.S.?). 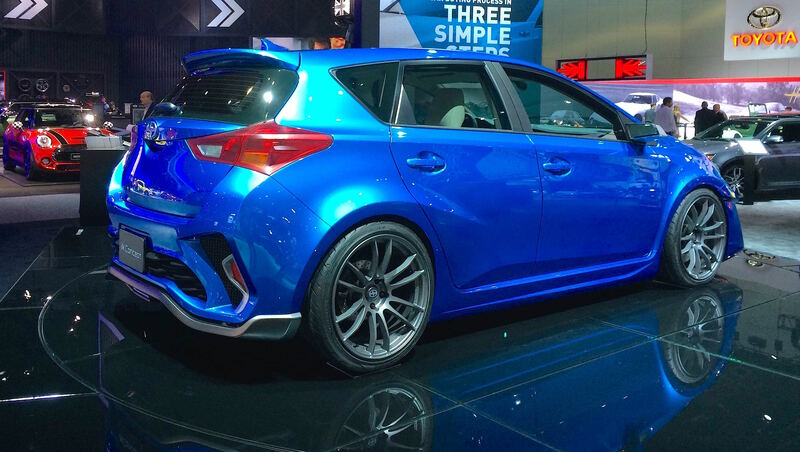 New Scion iM five-door hot hatch concept made its world debut at the L.A. Auto Show. 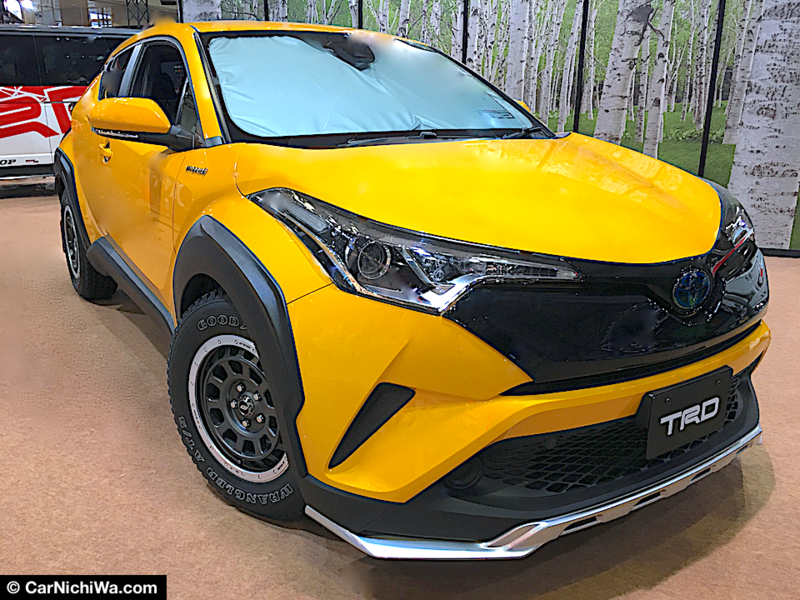 During Scion’s press conference, Doug Murtha, the division’s VP, said that the iM is the first of three new concept vehicles that preview three production models to be introduced during the next three years. 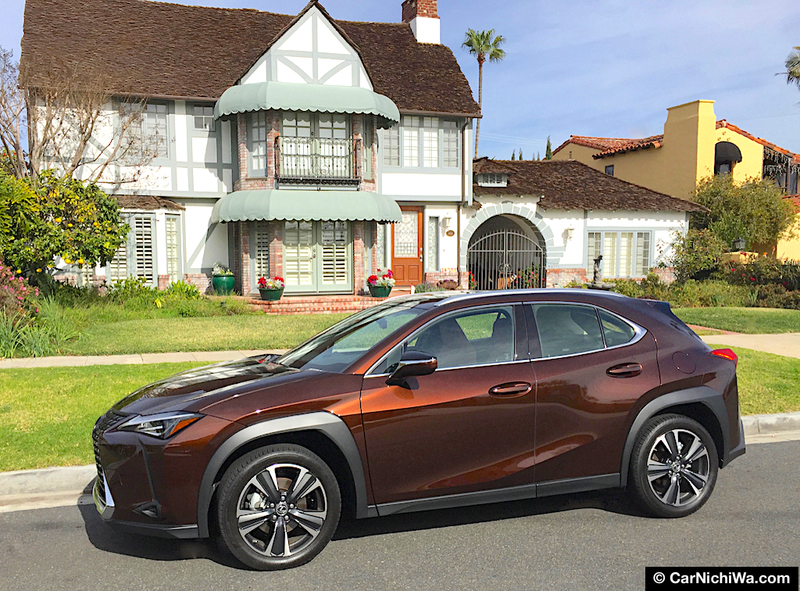 He confirmed that iM “Will become a reality,” and added, “Now all it needs is outstanding fuel economy and a price under $20,000.” The production model is scheduled to make its debut at the New York Auto Show in April 2015 and go on sale later in the year. 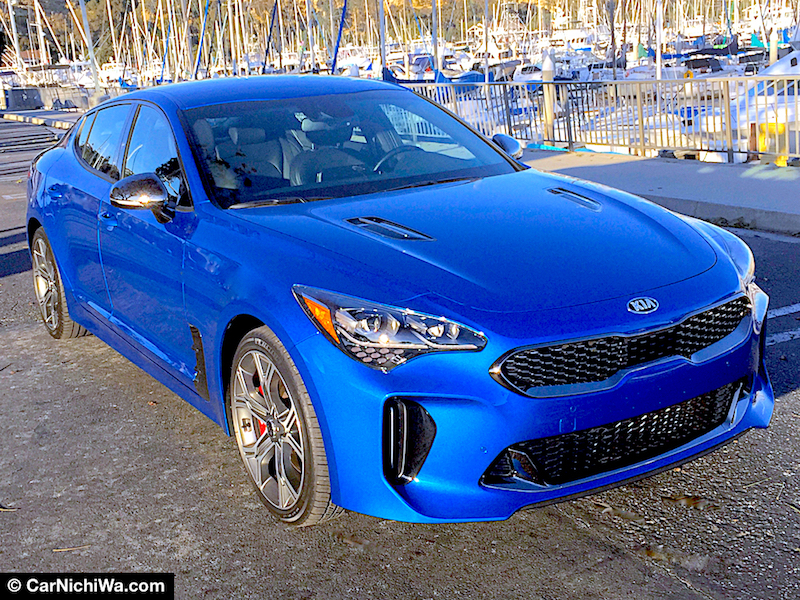 Murtha said that the iM concept was built by “Troy Sumitomo of Five Axis” and features a wider stance with lower ride height, special front and rear bumpers, grille inserts, deep air intakes and fog lights, 19-inch forged-alloy wheels, vented brake rotors with four-piston calipers and adjustable-height racing suspension. 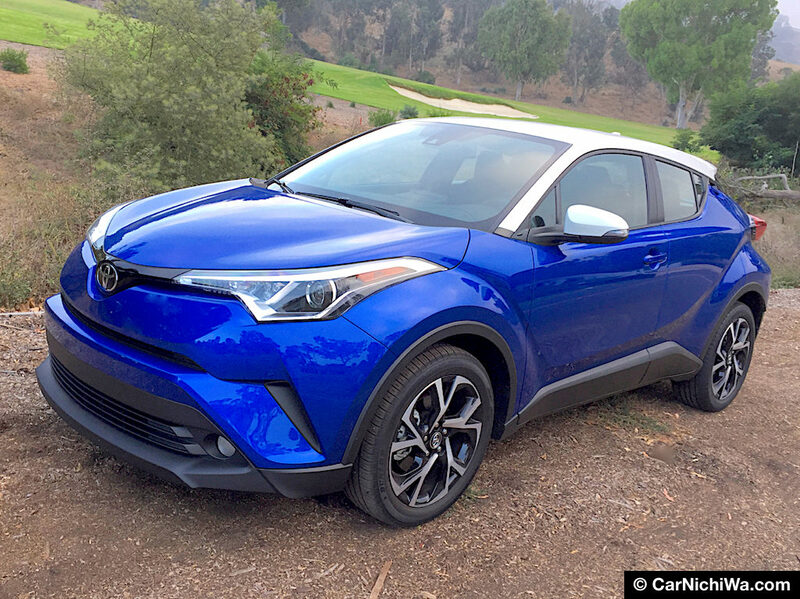 Our first close-up look at Scion’s iM concept following the press conference. 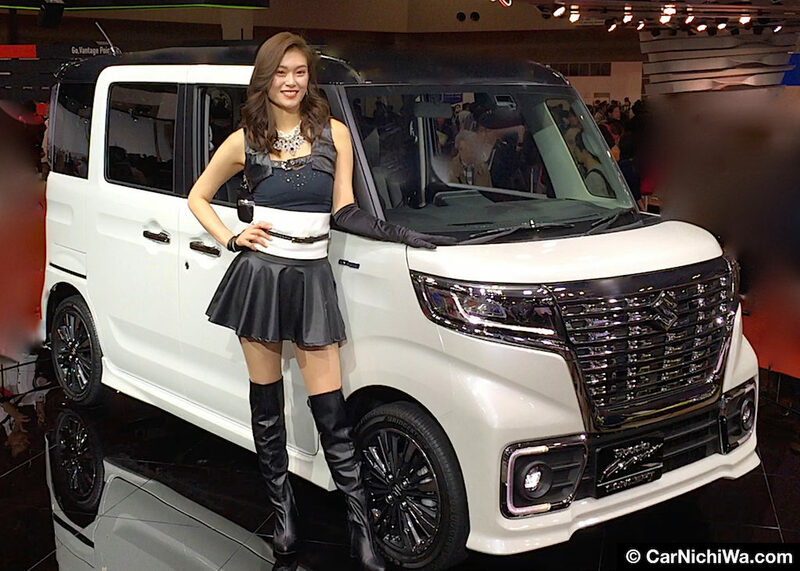 We understand that Scion wants to generate interest and keep potential customers in suspense until the New York show. Yet nothing was mentioned about iM’s roots, potential powerplants or where it will be sourced. Sciontologists are a smart group and have already done their homework. 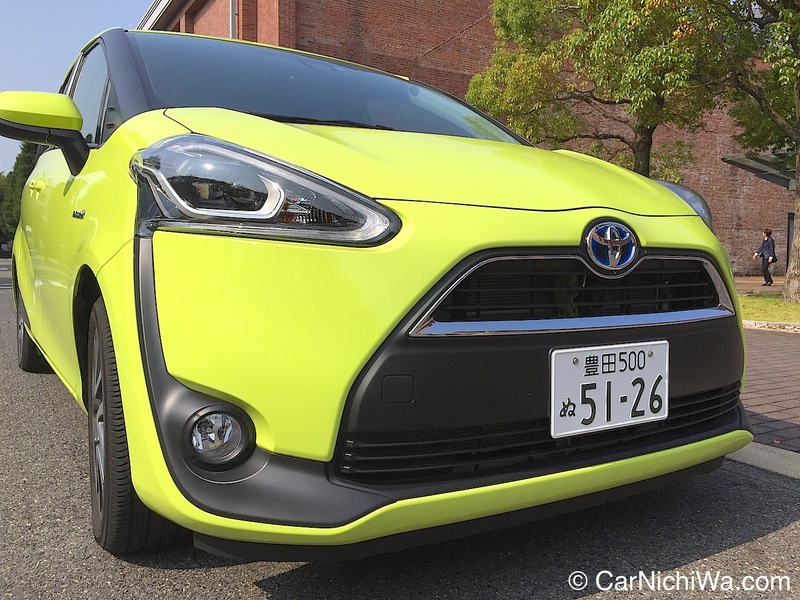 The iM is based on the existing Toyota Auris that’s built in Europe and Japan. There was so much news happening on the Volkswagen stand that we don’t know how they compressed it into a 20-minute press conference. 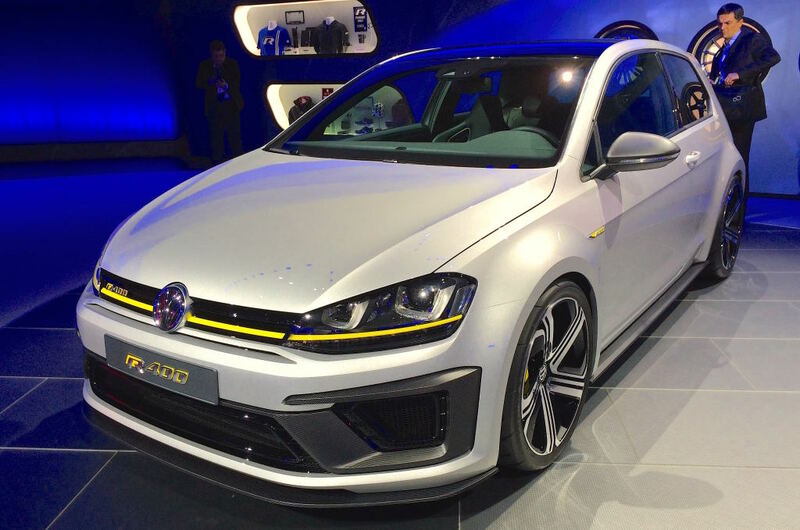 The Golf R 400 high-performance hatch concept made its North American debut packing a 2.0-liter four-cylinder engine that delivers an amazing 394 horses. 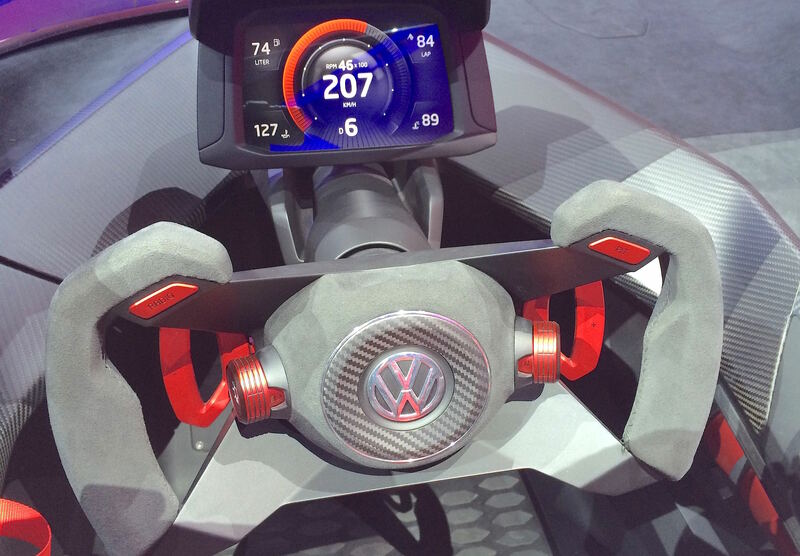 VW says it can launch the car from 0 to 62 mph in just 3.9 seconds while offering a top speed of 173 mph. Subtle styling enhancements adorn the new Golf R 400 while the big news can be found under the hood. The Golf R 400 weighs just 3,130 pounds (1,420 kilograms) with a weight-to-power ratio of 7.72 pounds per horsepower (3.55 kg per PS). 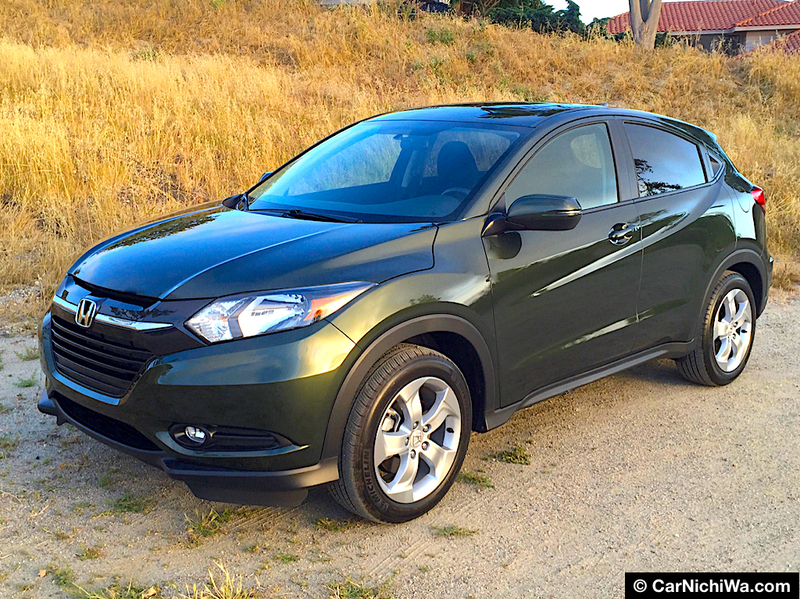 A six-speed manual gearbox transmits power to the ground via 4MOTION® all-wheel drive. The car is painted in “Silver Flake” and features a glossy black roof, carbon-look front splitter, and genuine carbon mirror caps. VW applied its experience in World Rallycross (WRC) racing to increase the output for the Golf R 400. Along with the standard 4MOTION® AWD Haldex coupling, which acts as a center differential, electronic differential locks are integrated into the Electronic Stability Control (ESC) system. In addition, the Golf R 400 is equipped with the XDS+ system on both the front and rear axles, which brakes the inside wheels to optimize steering response. Volkswagen plans to place this hot hatch on sale in the U.S. in mid-2015. Inside the Golf R 400, the driver and front passenger have motorsport-style bucket seats with integrated head restraints, openings for seatbelts, and “R” badges embroidered on the back. The cross-quilted middle seat panels are finished in Anthracite colored Alcantara; the seat bolsters, headrests, and lower lateral supports are covered in exclusive “carbon leather”. The divided rear seats also have carbon leather outer areas, with Alcantara seating surfaces in the center. 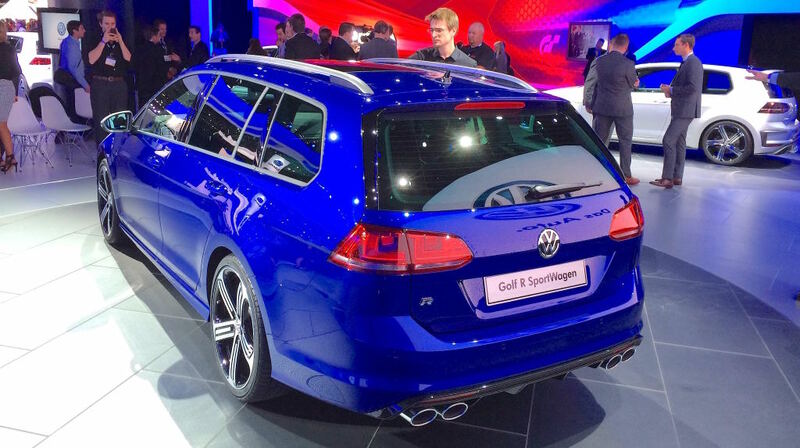 Now, imagine packing the muscular powerplant from the Golf R into a more understated wagon profile. 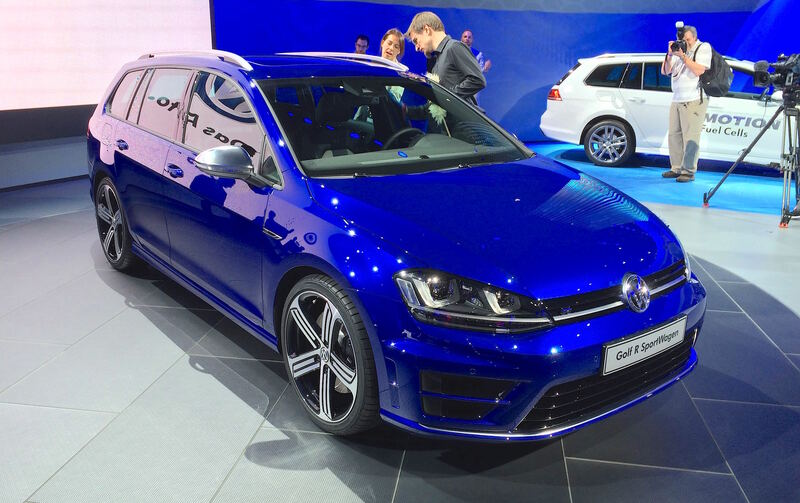 That’s what VW did with the Golf R SportWagen that made its world debut in L.A. Enabling drivers to make express deliveries, it features a 2.0-liter engine from the Golf R (not the 400 version) generating 296 horsepower. 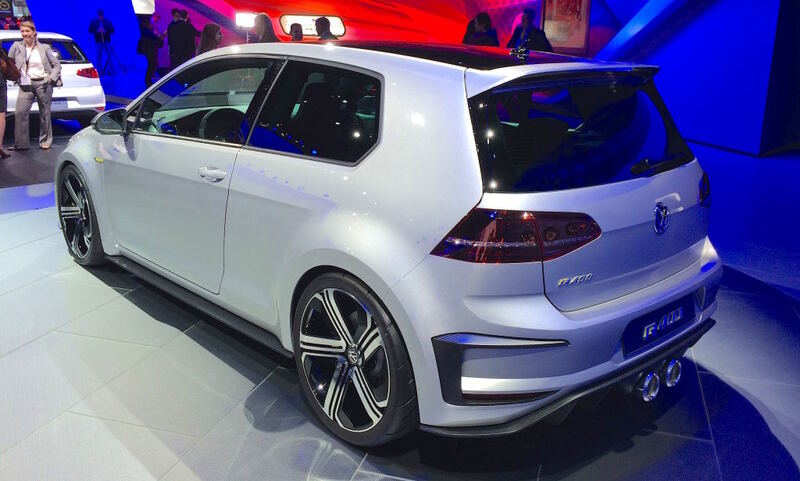 Volkswagen’s Golf R SportWagen was a crowd-pleaser at the L.A. show. 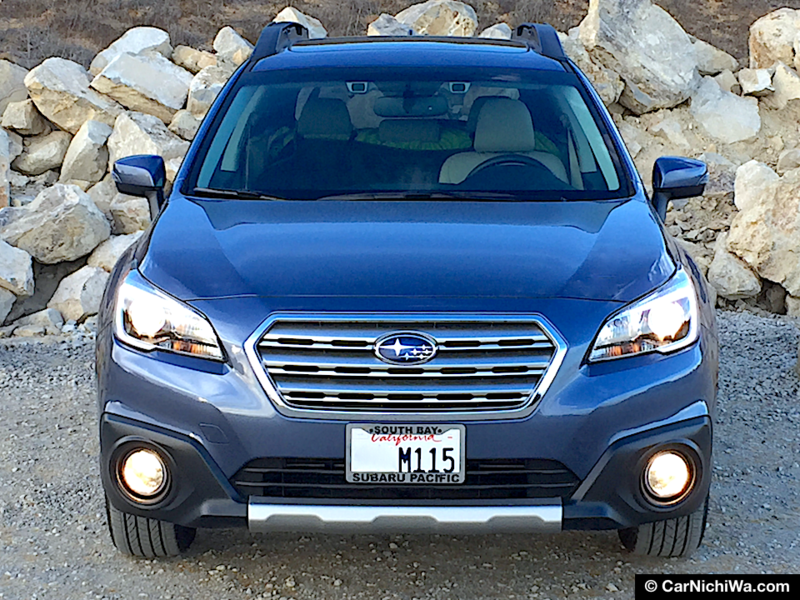 The wagon employs a 6-speed DSG® dual-clutch automatic transmission and 4MOTION® AWD. 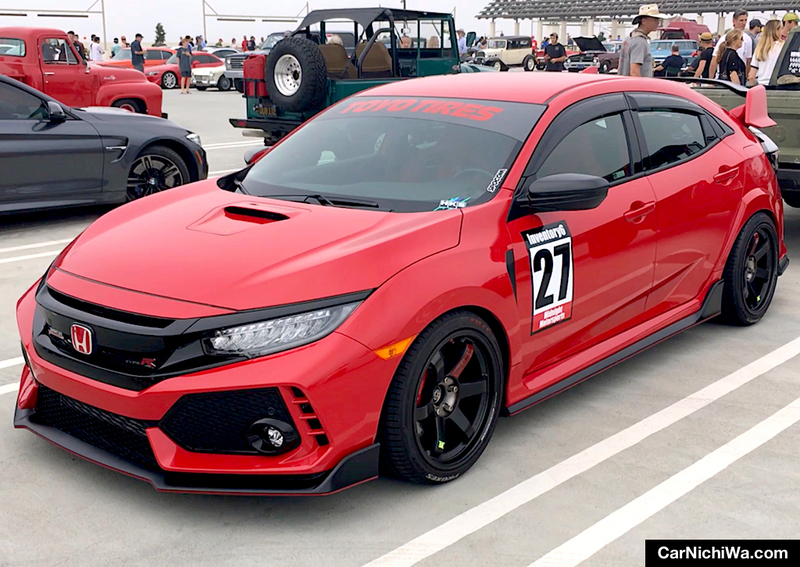 While the chassis features a lowered sport suspension, 0.8 inches lower than a stock Golf, and a stability control system, “ESC Sport”, which can be deactivated for use on a track. Optionals include the newest generation of the DCC adaptive damping system with a driving profile selector that features a Race mode. 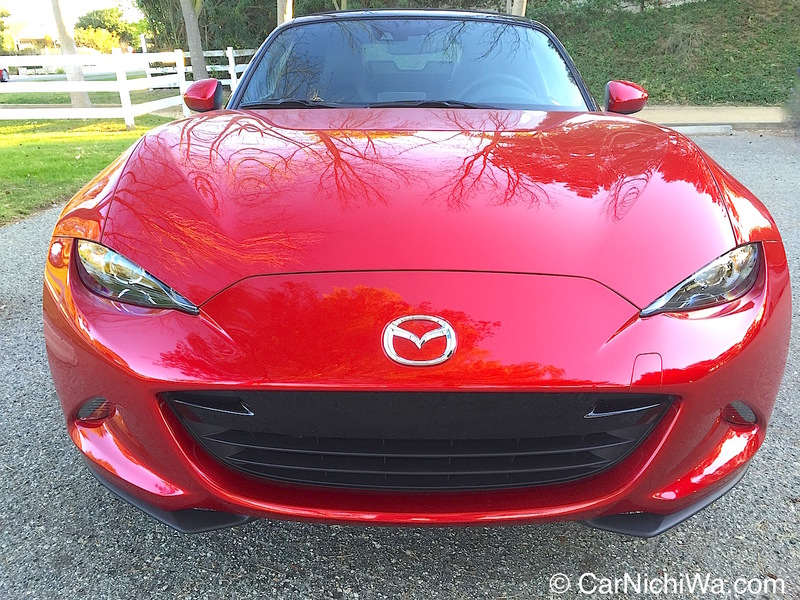 The front view provides few clues of what lies under the hood. VW says the Golf R wagon’s turbocharged and direct injected engine accelerates from a standstill to 62 mph (100 km/h) in 5.1 seconds. 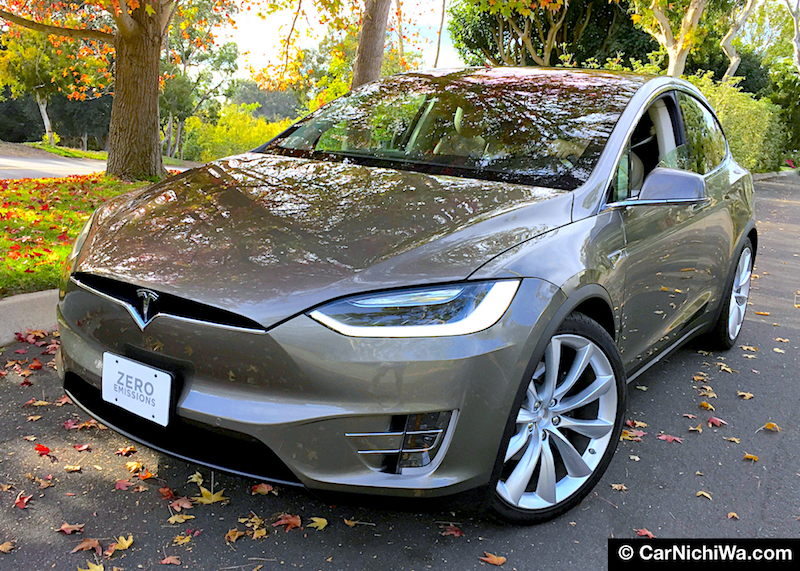 This “sports car in a station wagon body” is electronically limited to a top track speed of 250 km/h (155 mph). While VW said the Golf R wagon goes on sale in Europe in the spring, there’s no word whether it will come stateside. The Golf SportWagen HyMotion fuel cell vehicle debuted in L.A.
Volkswagen also staged the world premiere of the Golf SportWagen HyMotion, a research vehicle with a fuel cell powertrain. 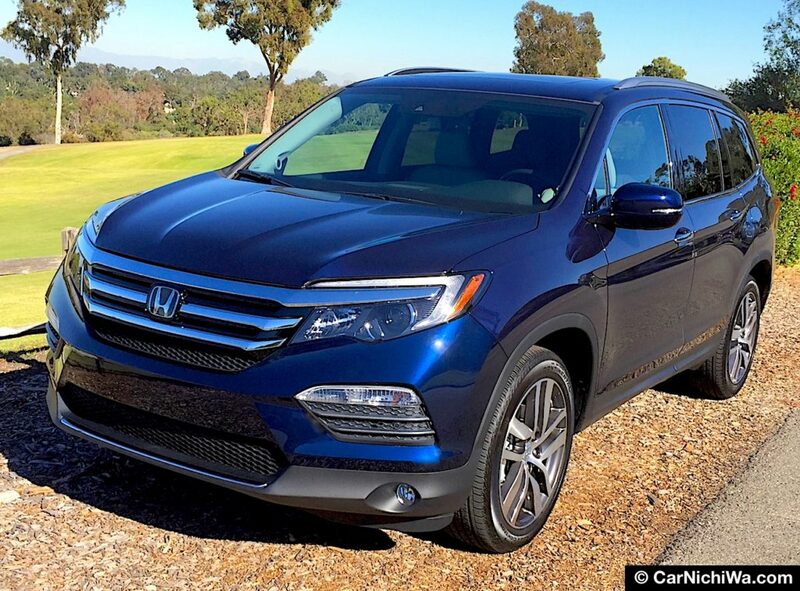 The Golf is already offered with gasoline engines (TSI®), diesel engines (TDI®), an electric drive (e-Golf) and, in some markets outside the U.S., natural gas and plug-in hybrid drivetrains. 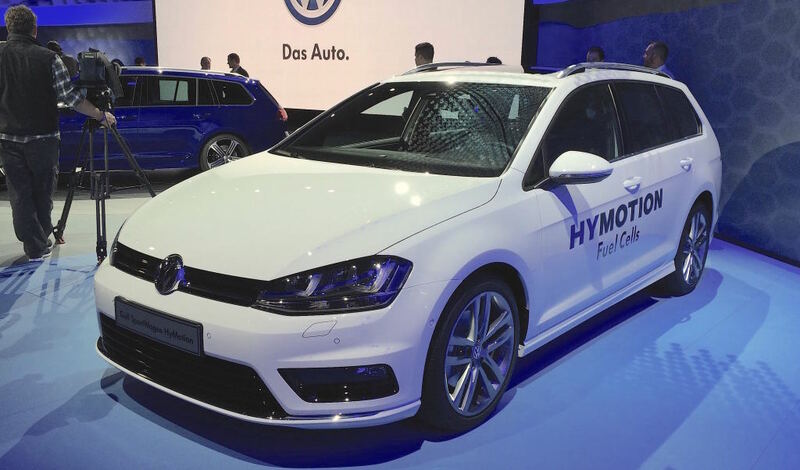 VW showed the Golf SportWagen HyMotion to demonstrate how a hydrogen fuel cell could be implemented in an Modular Transverse Matrix (MQB) based vehicle. Volkswagen’s GTI Roadster is a dream machine brought to life. Also making its North American debut was the Volkswagen GTI Roadster, first seen at the Wörthersee enthusiast festival in Austria in May. VW says this car “erases the boundaries between the virtual and real worlds” and further demonstrates the bandwidth of the MQB architecture. A motorsport-style feature is the cockpit display mounted directly to the steering column, far ahead of the driver. 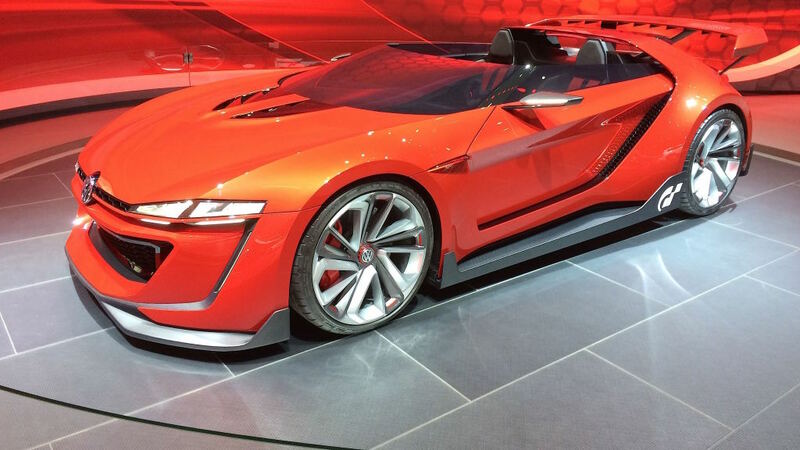 The GTI Roadster is a Golf GTI show car that was originally created as a purely electronic CGI entity for the Sony PlayStation®3 classic “Gran Turismo 6” (“GT6”). 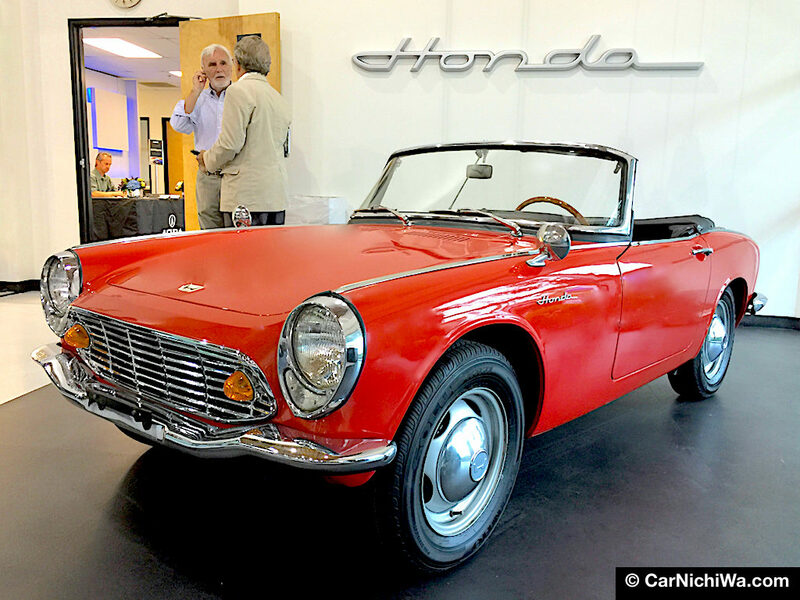 The two-seat convertible is powered by a 3.0-litre V6 twin-turbocharged TSI® engine that produces 503 horsepower and a mighty 413 pound-feet of torque between 4,000 and 6,000 rpm; from just 2,000 revs, 369 lb-ft of that torque is available. The tall, integrated rear wing is a signature element of the car’s design. The power of the TSI engine is transferred to the 20-inch wheel-and-tire combination via a seven-speed DSG® dual-clutch automatic transmission and a 4MOTION® all-wheel-drive system. The lightweight, 3,133-pound sports car sprints from 0 to 60 mph in an estimated 3.5 seconds and goes onto a top track speed of 192 mph. 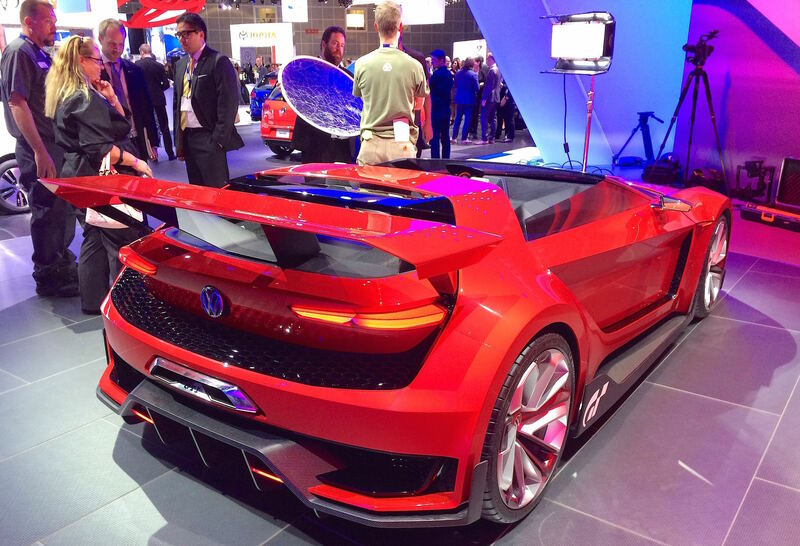 The GTI Roadster is the result of cooperation between Volkswagen and Sony Computer Entertainment. Klaus Bischoff, Head of Design at Volkswagen remarks: “When Sony asked us if we would develop a Vision GTI vehicle exclusively for the game to mark the 15th anniversary of Gran Turismo we didn’t hesitate for a moment.” An in-house competition was launched and young Volkswagen designers submitted their designs. 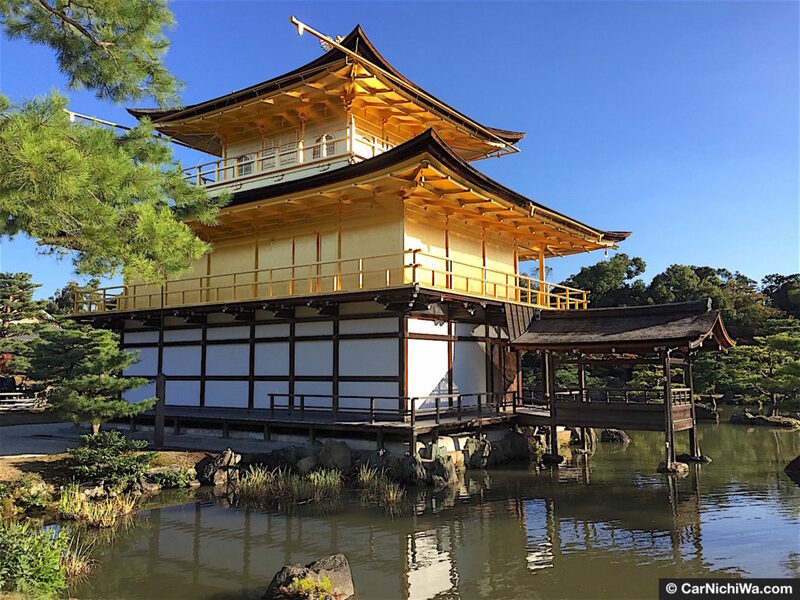 Submissions were judged by Bischoff and Kazunori Yamauchi, Director of Polyphony Digital and Vice-President of Sony Computer Entertainment—and the inventor of the “Gran Turismo series.